I know I'm a little bit late for St. Patrick's day, but when I saw this little guy he was just too cute to pass by. 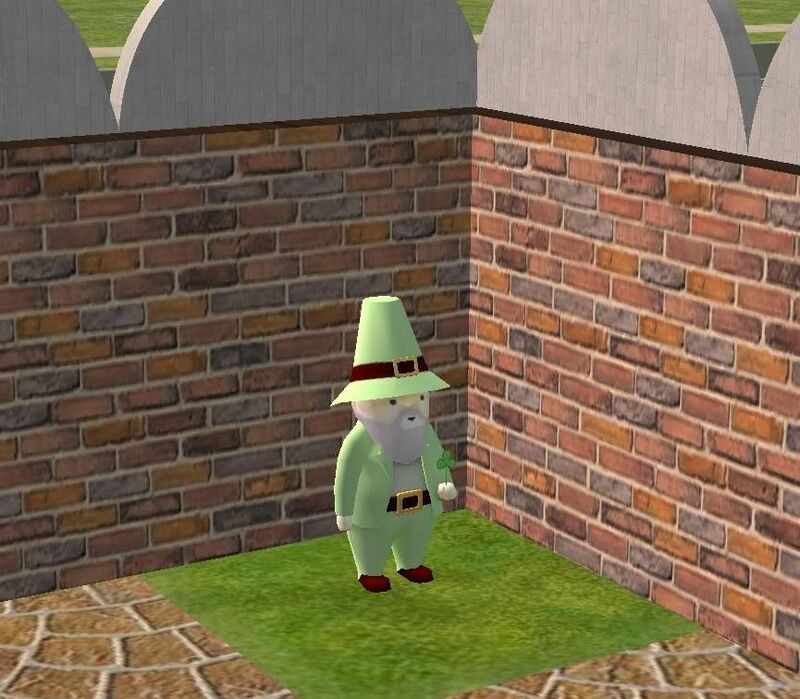 It's the Sims 3 Store Happy St. Patrick's Day Lucky Gnome for The Sims 2. Cloned from the original base game gnome, so sims can steal and kick him, enjoy!